What is the secret of carvidilol’s superiority in CHF over other beta blockers ? Beta blockers(BBs) have become key drugs in management of CHF .It helps by blocking toxic effects of inappropriately elevated catecholamine , which is actually a compensatory response(A fight and survival reaction ) from the sympathetic system to a failing heart . This process becomes a liability in the long run as the adrenergic receptors either down regulate or even promote apoptosis and cell death .Along with RASS-ACE it affects every cell in the body promoting neuro- humoral catabolic state. By trial and error methodology we have found blocking the sympathetic system by BBs confer consistent benefits in CHF .This is in contrary to the days we were ignorantly stimulating the beta receptors with positive inotropic agents and wary to give BBs in cardiac failure .This is one the most dramatic 180 degree turn around in the annals of clinical cardiac therapeutics last century. Is all BBs same ? Is it the class effect ? 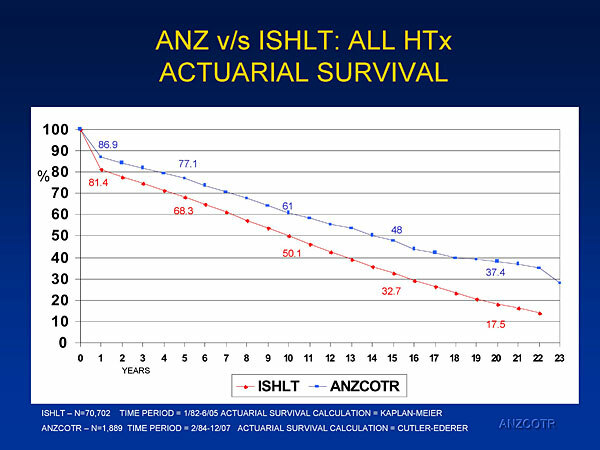 What is the secret of carvidilol’s superiority in CHF than other BBs ? Carvidilol being a non selective BB fits perfectly for the job . Of course , additionally it has alpha blocking action that reduce the after-load reliving he LV wall stress during systole enabling further lowering of MVO2 and promoting regression of LV size as well. Cardioselectivity is boasted as a gifted property of BBs .It may be true in HT, arrhythmia and angina , but in cardiac failure it plays a different ball game .The simple logic is the target receptors need to be blocked in systemic fashion. Why syncope is less common even in severe Mitral stenosis compared to Aortic stenosis ? Syncope is a classical feature of LVOT obstruction especially with valvular aortic stenosis.The mechanism of exertional syncope in Aortic stenosis is traditionally attributable to the fixed obstruction .This fixed obstruction is not able to cope up with increased cardiac output as demanded by the exercising muscles . But exercise induced reflex as well as local vaso-dilatation mechanism is intact . The consequence is predictable. A critical fall in SVR amidst a obstructed LVOT precipitating a syncope. However , If the above mechanism is the sole reason for syncope in Aortic stenosis , we have a problem to explain why syncope is rare even in critical mitral stenosis which is also fixed LV inflow obstruction ? Is there some thing unique in LVOT obstruction that causes syncope ? No, it is nothing to do with LVOT .To generate a true pathological syncope, reduction in cardiac output per-se may not be enough . It appears there should be an inappropriate systemic vasodilatation as well to precipitate a syncope.This can happen only if the parasympathetic system gets activated by some means . The trigger is located in the mechano- receptors of left ventricle . Hypertophied left ventricle with high Intra cavitory pressure (Often above 200mmhg) generated due to LVOT obstruction activates the syncope circuit.The same rule may apply for RVOT as well .One could get syncope with critical valvular PS or severe pulmonary hypertension when RV mechanical receptors get a triggered. What happens in mitral stenosis ? In mitral stenosis , LV is under- filled , wall thickness is normal .There is little likely-hood of LV mechno-receptors to get stimulated as the LV wall stress is normal. This is the reason syncope is less common in mitral stenosis. However , this is not absolute rule , syncope can still occur in severely narrowed orifice of mitral valve due to low flow state alone or a ball valve thrombus and paroxysms of arrhythmia . Tips in femoral artery access : Rapid Fluroscopic puncture in cardiogenic shock ! Femoral artery puncture is still the default technique for cardiac catheterization even as the radial access has gained huge popularity in recent years.Though patient comfort and access site complications are clearly low in radial approach, complex procedures still demand femoral access. The true draw-back of the obsessive adaptation of radial access could be the gradual loss of expertise in the fine art of femoral artery puncture. It’s true femoral artery puncture can be troublesome at times by palpatory method .How to get into a difficult femoral artery with a poor pulse either due to anatomical reasons, extreme obesity or a compromised hemodynamic status ? By fluroscopy , in AP view the head of femur can be divided into 5 zones. (Huggins) Zone 1 and 5 or superior and inferior to head of femur.The zones 2,3,4 are divided into upper, mid and lower third. 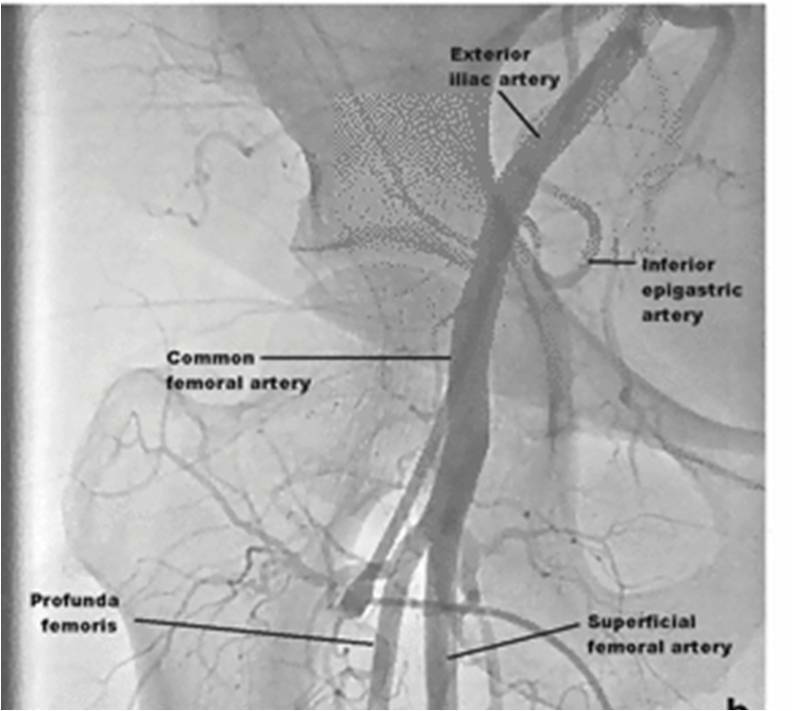 Where does common femoral artery bifurcate ? 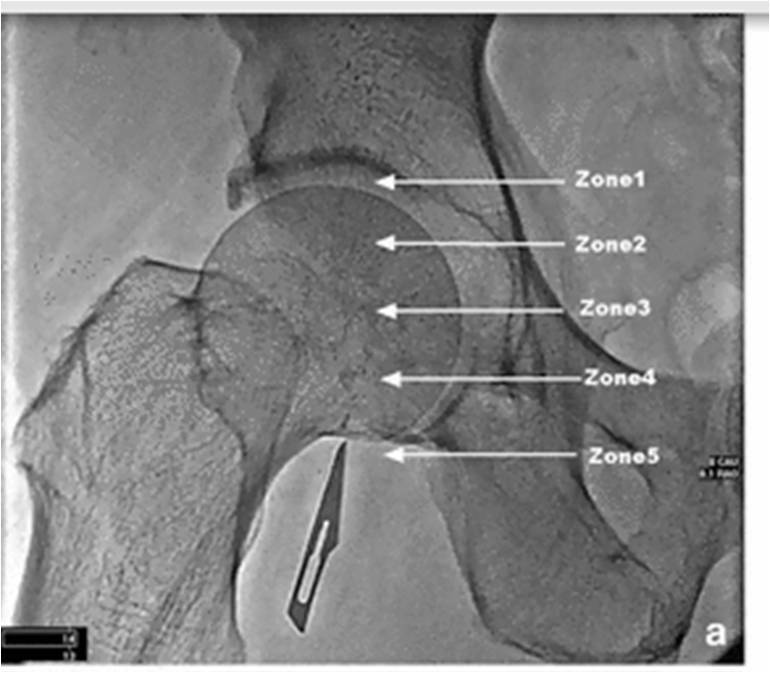 The bifurcation of the CFA occurred in zones 2, 3, 4 and 5, which was 1%, 9%, 43% and 47% of the time, respectively, and thus occurred within the lower third of the femoral head or below the lower border of the femoral head in 90% of patients. Puncture the skin at zone 5 inferior border of head of femur. Enter the artery at mid point in the Zone 3. How common is the combination of pannus and thrombus in prosthetic valve obstruction ? Prosthetic valve obstruction is becoming a common clinical issue .It can be either acute, sub-acute or chronic . The pathology is usually thrombus formation , scar tissue growth (Pannus) or rarely a mechanical defect. Echocardiographic differentiation of thrombus from pannus can be difficult .Generally , pannus is smaller , linear (less round) ,encroach from the periphery to central , mean gradients are consistently lower than thrombus mediated obstruction. Clinically pannus related obstruction present less acutely and occur in-spite of good compliance of anticoagulant medication and a well maintained INR . Trans thoracic (TTE) , Trans-esophagel (TEE ) echocardiography , and real time 3D TEE are useful imaging modalities .The value of cine fluroscopy should be never underestimated and it is probably still the the best way assess the struck metallic leaflet. Though the pathogenesis of pannus and thrombus are considered different there is no reason they can’t occur in a given patient at the same time.We know at least one patient who had been referred to surgeon for mitral valve obstruction due to failed thrombolysis had showed heavy load of thrombus attached over a well formed pannus originating in medial sewing ring. However intelligent one may be , human brain often tends to get skewed when confronted with a sudden query like “What is your diagnosis , This or that ? Pannus or thrombus ? .Most will go with any one of it ! However, cardiac physicians must be aware both pannus and thrombus can occur overlaid simultaneously in a given patient .The exact incidence of such “combined thrombo-pannus” is not known but bound to be higher as we look for it. In fact , many of the residual gradients after lysis is attributable to undiagnosed pannus. There is also a suggestion scarred , injured , rough surface of the pannus could be the initial trigger for thrombus formation . 1.Differentiating thrombus from pannus formation in obstructed mechanical prosthetic valves: an evaluation of clinical, transthoracic and transesophageal echocardiographic parameters John Barbetseas, Sherif F Nagueh, Christos Pitsavos, ;J Am Coll Cardiol. 1998;32(5):1410-1417.